For all the traditional reasons, including the human link, monkeys ranks as some of the most popular animals going, in spite of the fact that they are not native North American animals. This introductory discussion of the different types of monkeys that share the earth with humans needs to be tempered with the fact that primate taxonomy changes over time. For example, according to the IUCN/SCC Primate Specialist group, seventy five new primate species have been documented since the year 2000. While, the word monkey and primate often get used interchangeably, formally the term primate refers to an order of mammals that includes monkeys, great apes, lesser apes and lemurs. 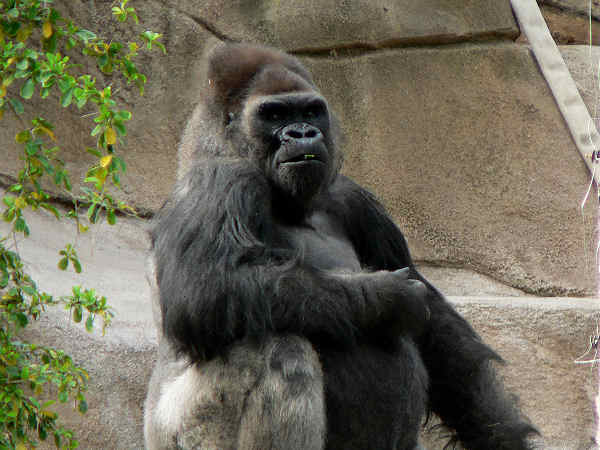 Fortunately simplicity reigns in formal primate language, and as a basic rule of thumb, two types of primates inhabit the fields and forests of Africa, Asia and Central and South America, based primarily on the physical characteristic of brain size to body size ratio. A quick review of some basic facts covering both groups follows. Despite some large formal numbers, it’s fairly easy to remember the Strepsirrhini group as lemurs. It consists of approximately one hundred and twenty species in seven separate families. Most, not all, Strepsirrhini species are lemurs, and most, not all Strepsirrhini species are indigenous to Madagascar. Species from two Strepsirrhini families, Galagidae and Lorisida, inhabit Africa and Asia. 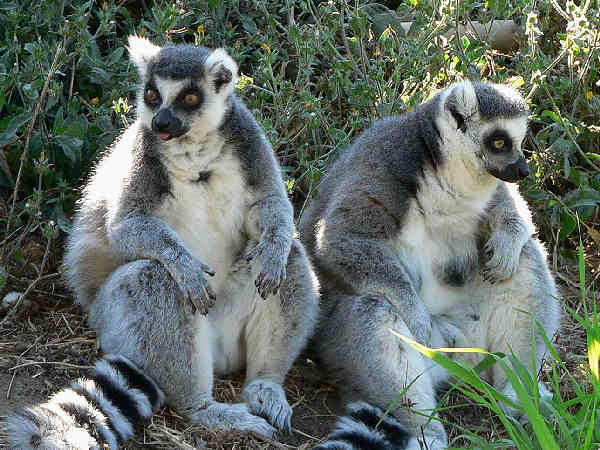 The IUCN Red List update confirms reports that 94% of lemurs are threatened with extinction. Of the 101 surviving lemur species, 22 are Critically Endangered, including the largest of the living lemurs, the Large-bodied Indri (Indri indri). A total of 48 are Endangered, such as the world’s smallest primate, Madame Berthe’s Mouse Lemur (Microcebus berthae), and 20 are Vunerable. This makes them one of the most threatened groups of vertebrates on Earth. Ring-tailed Lemurs like the ones pictured, and a few other lemur species, are common residents at zoos and other animal parks throughout North America. Monkey identification (Haplorrhini) includes both new world and old world monkey species, along with other well known families, including Hominidae, the taxonomic home of Homo sapiens, or people. Geography explains the terms old world and new world monkeys. Old world monkeys refers to the approximately one hundred and twenty five species indigenous to Africa and Asia. New world monkeys refers to the approximately one hundred and thirty five species of Central and South America. Together, the old world and new world monkeys account for approximately two-thirds of the global primate species. Physical and behavioral differences between the old world and new world monkeys, already thoroughly documented, start by comparing tail feature. 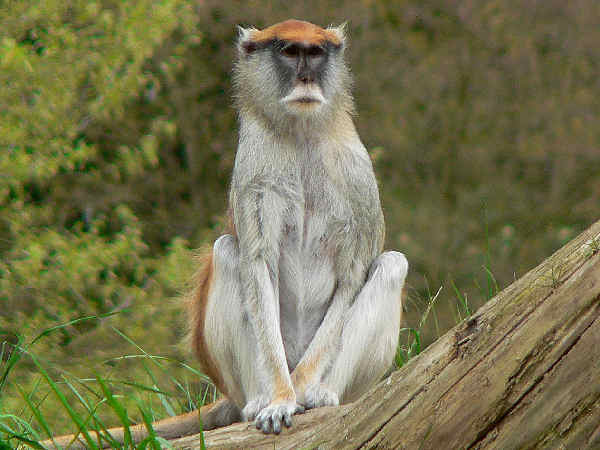 A general rule of thumb is that old world monkeys lack prehensile tails and possessing opposable thumbs. The Great Apes refers to the four ape species in the family Hominidae: Bonobos, Chimpanzees, Gorillas and Orangutans. Their action plan focuses on maintaining eighteen critical habitats and beefing up enforcement of the laws already on the books.